The University of Wisconsin’s Pro Arte String Quartet (below, in a photo by Katrin Talbot) is heading toward history – and in fact is already there. It already is – at least to the best of the evidence we have – the longest lived string quartet to have ever existed in the history of music, and will mark its 100th birthday next season. But the celebrations are already starting, this time Saturday night with a sold-out, pre-concert donor dinner at the Faculty Club that by the accounts of sponsors and attendees alike was thoroughly enjoyable. Then it was on to Mills Hall where, to a half-house of 350 or do, the ensemble played a program of Mozart, Schumann and Dvorak. Each time I go to a Pro Arte concert, I wonder if the ensemble will live up to my expectations. And each times it does – not only meeting those high expectations, but usually surpassing them. So it was this time. 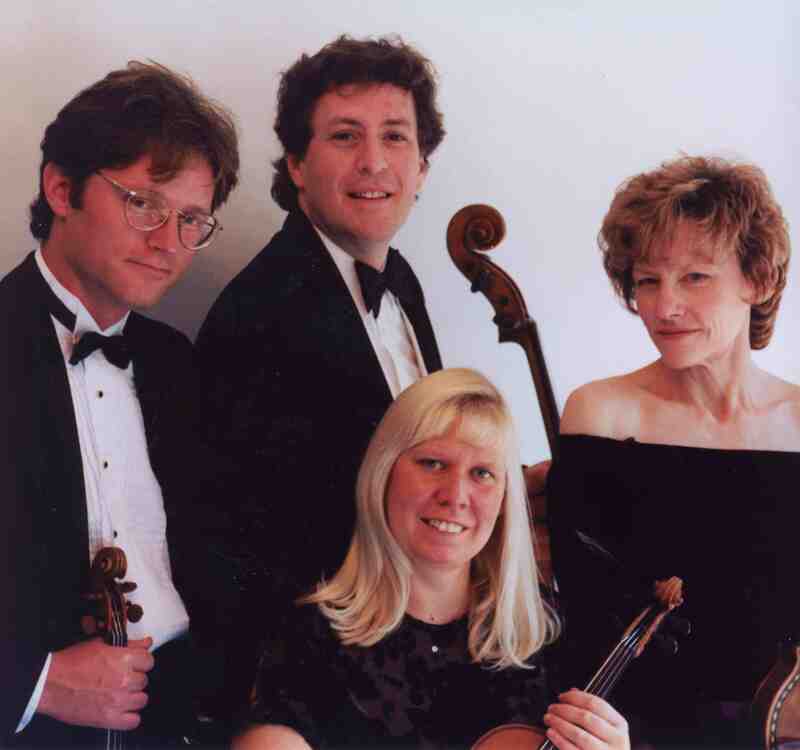 Mozart’s music offers little room to cheat or hide, and the Pro Arte players didn’t need any. They clearly worked on this quartet – the Quartet in E-Flat Major, K. 428 (1783) — with all the care that Mozart himself, looking to the shadow of his mentor Haydn, brought to the genre. By turns, this work had light 18th-century moments and darker, fiercer premonitions of 19th-century Romanticism. To my ears, the Pro Arte did not push or force the music in either direction. What it did was get out of the way and simply play what is there in the score — which is not so simple to do. They allowed Mozart to speak for himself. The group blended its sound, balanced its dynamics and parts, kept the rhythms sharp and shaped the vocal lines into long phrases, as they should be for the work of such a vocal, operatic composer. This was the full-blooded Mozart who was important to the history of music, not the music box Mozart that is brittle, pristine and elegantly embalmed. 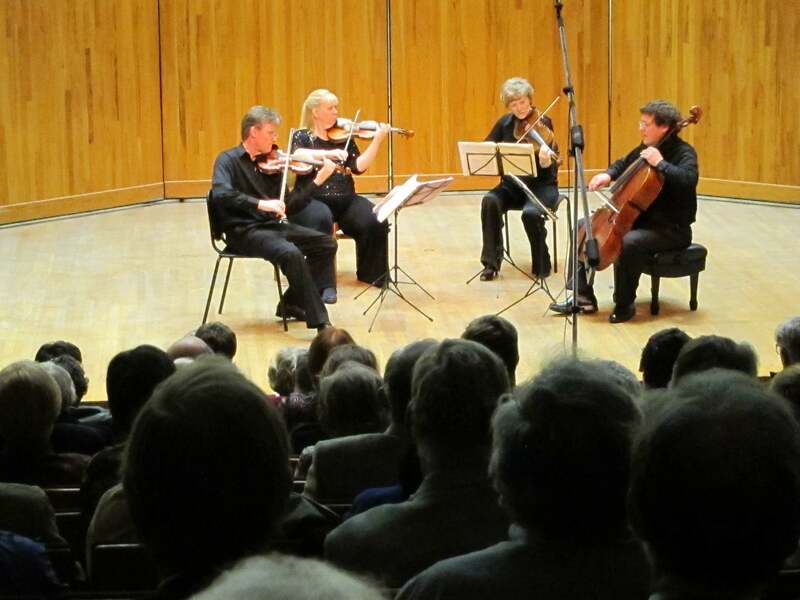 Then came the Schumann’s Quartet in A Major, Op. 41, No. 3 (1842). For The Ear, this was the highlight of the evening. Did any composer ever capture longing and yearning as fully and as beautifully and as moving as Schumann? I don’t think so. 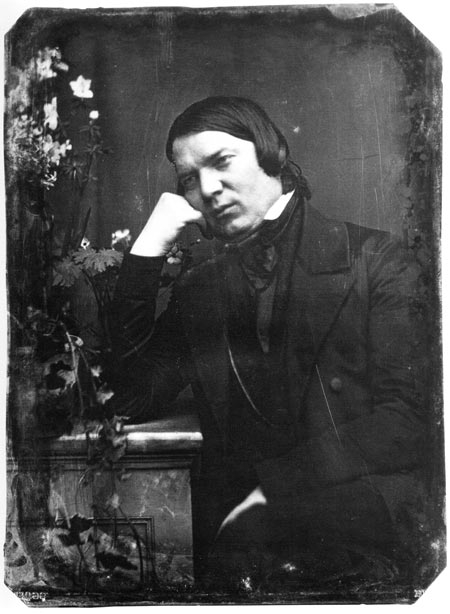 Schumann (below) does it constantly — in his solo piano music, his songs, his chamber music and his orchestral music. Other composers from Bach to Beethoven and Schubert and on to Tchaikovsky and Rachmaninoff have their moments. But none tops Schumann for frequency and beauty. You believe it; you share it. Tradition holds he was yearning for his wife Clara, who was held back by her father, and Schumann’s teacher, Frederick Wieck. Eventually, love won out and Robert and Clara married. I don’t know the answer. I doubt anyone does. Maybe, or even probably, both are true. But I know music that is pained when I hear it — and Schumann’s music is beautifully, convincingly pained in the way it transforms suffering rather than shows it off. Once again, the subtleties were all there, captured by the Pro Arte, which rehearses three hours every weekday morning to sharpen their playing and deepen their interpretations. I don’t expect ever to hear this performance of Schumann bettered, and I will very happy to hear it equaled. Little wonder it earned wild applause and a standing ovation. I have to admit that the Dvorak (the Quartet in D Minor, Op. 34 from 1877), as fine a work as it is – arguably the first of the composer’s mature quartets, though the Emerson Quartet’s 3-CD set starts with Op. 51 – proved a bit of a let down after the Schumann. This is very good music, but to my mind not as great as either later Dvorak or the last of Schumann’s three string quartets. Yet once again, the Pro Arte proved professionals to their core, and bit into the music. I like they way they especially captured the lyricism and especially the dance rhythms without sloppiness but with high energy. During the Polka scherzo, violist Sally Chisholm, who is always fun to watch play, had both feet off the floor. After all, several times during the Schumann, I felt both my own feet were off the ground, so elevated did both the music and performance strike me. But you don’t have trust me or take my word for it. Did you hear it on the radio? 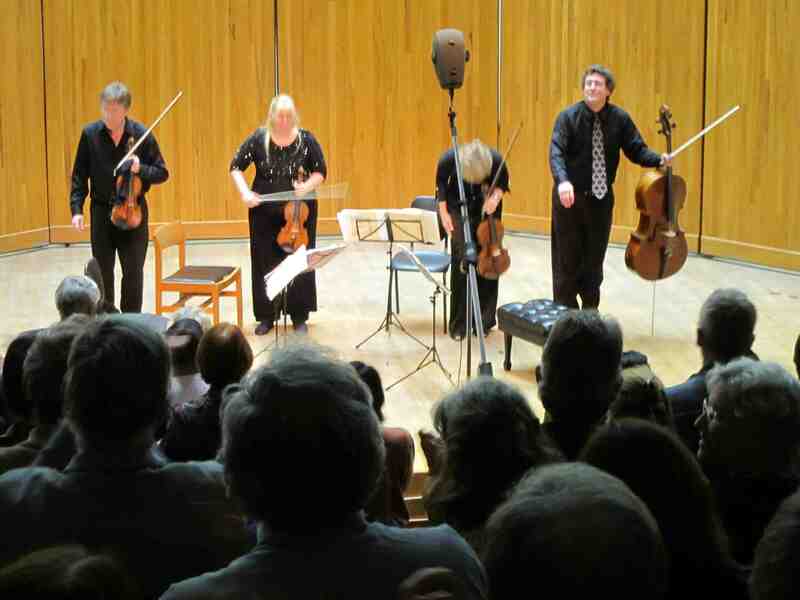 What did you think of the Pro Arte concert?